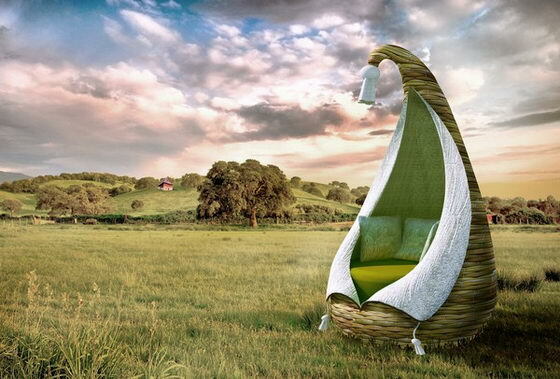 Created by designer from Moscow Tompson Tompson this comfortable chair “Cocoon” will be a perfect place for solitude, reflections and rest. 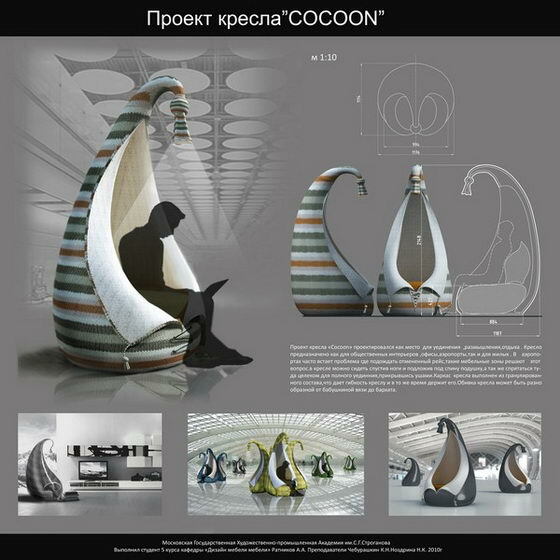 Cocoon is intended as for public interiors, offices, the airports, and for the inhabited. 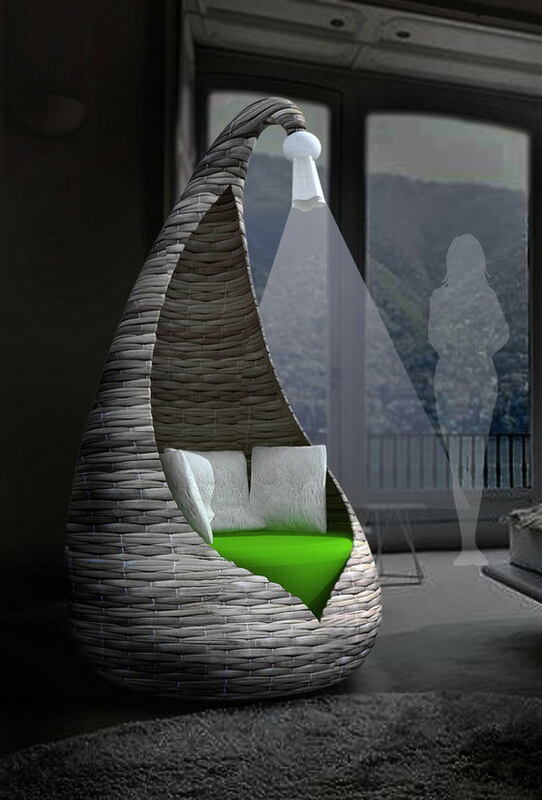 In Cocoon, it is possible to sit having lowered feet and having enclosed under a back a pillow and as to hide there entirely for a full solitude, having covered with ears. 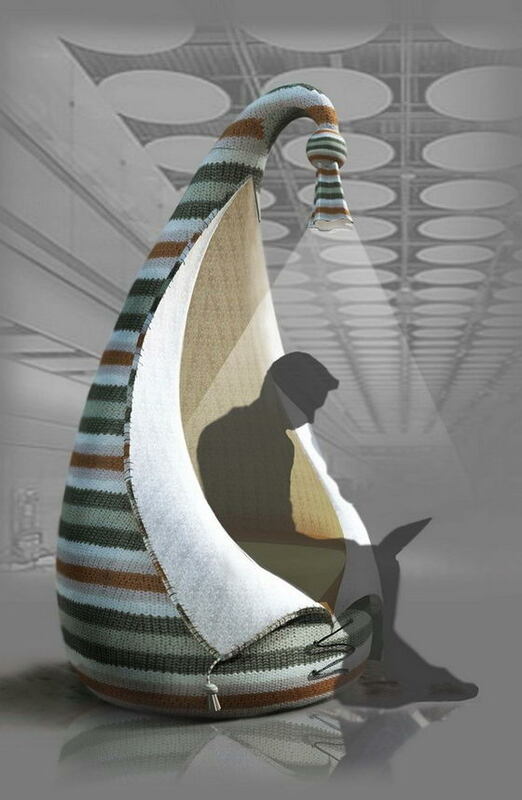 The armchair is enclosed but has an open front that can be laced up to increase privacy. 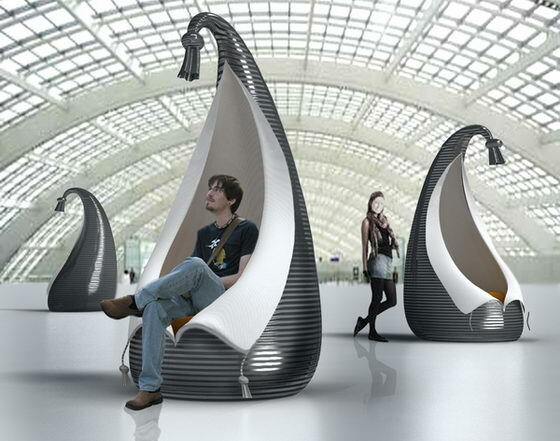 It can serve well at the airports and other public places where the privacy is quite impossible. 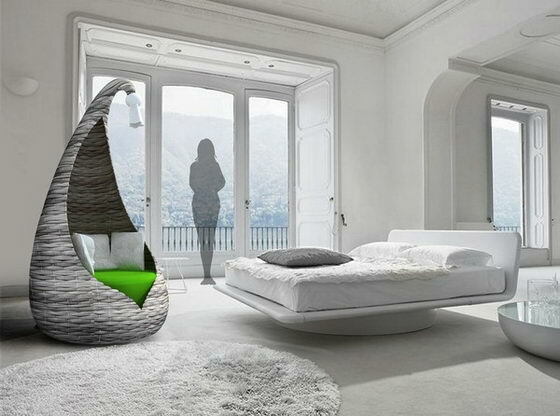 I guess, it should also be cool to have one at home, which will not only be a armchair but a special decorative furniture. Take a look! What do you think? Awesome, I’d LOVE one… are they available yet?